The triple ceramic coating keeps the heat distribution even, drying your hair to its roots and protecting it from excessively high temperatures. Some users note that the cool air mode is not very effective. Fitted with a 2200 W motor, this dryer will let you get your hair dry in no time flat, even if it's particularly luscious and long. This model is a professional-grade product that will fit into any travel bag. The device is pretty quiet, so you will be able to use it for a while without bothering people sleeping in the next room. The 2 speed and heat settings aren't really that different. 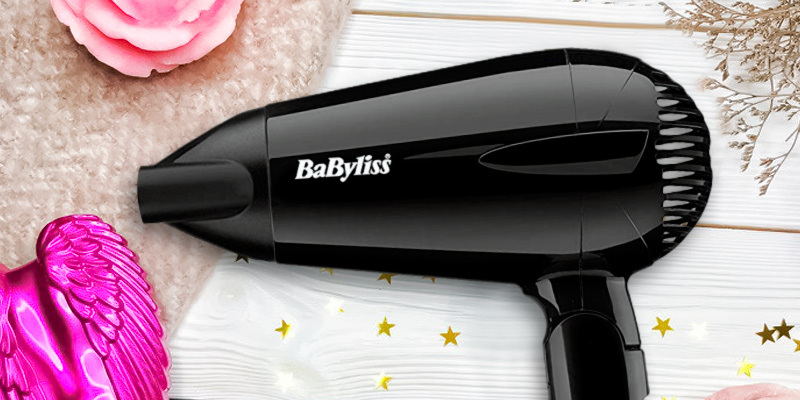 This portable Babyliss dryer has all the functions you'd be looking for in a travel model, including quiet operation, compatibility with any outlets (thanks to dual voltage), and pretty compact dimensions. It's not overly expensive, has a folding handle to fit easier into your luggage, and it works pretty fast. The diffuser nozzle will let you create both light waves and curly locks, all while providing your scalp with a pleasant massage that improves blood flow. 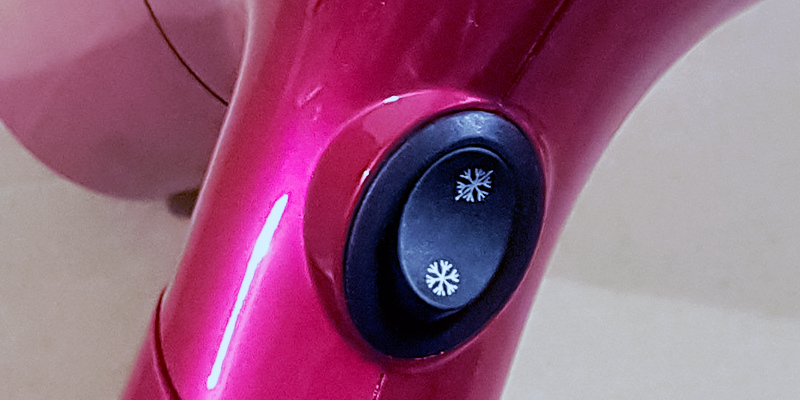 The switch is located in a somewhat uncomfortable way, so you'll have to reach for it to change the speed. If you think that a travel size blow dryer is simply incapable of creating a gorgeous hairstyle, this model will prove you wrong. Thanks to the stellar motor yielding 2000 W of power, you'll be able to create all kinds of hairstyles in a record time. The built-in safeguard keeps the device from overheating and power surges, which contributes to its reliable performance and safety. You need to apply some force to put on or take off a smoothing concentrator. Despite the compact size, this Breuer drying device will fit your hand perfectly and you can use it for a long time without getting tired. As a result, you can experiment with hair styling options and enjoy the process. The thing that distinguishes this travel hair dryer from many others is its moisture retention system which allows the unit to quickly dry out after each use even in places with high levels of humidity. The folding handle can get somewhat wobbly over time. 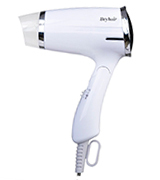 With the overall dimensions of 16 x 11.5 x 5.5 cm, this travel hair dryer is easily one of the smallest prospects out there. You can stow it in the smallest bag you have and carry along with you everywhere you go. Any experienced traveller will tell you that the amount of trouble you can get into with hotel dryers is nearly endless. 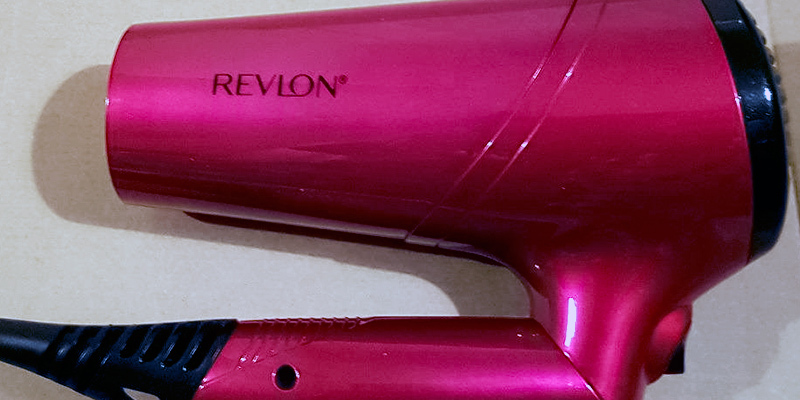 Unless you have a handy portable blow dryer like the Revlon RVDR5229UK, you open yourself up to a plethora of annoyances. Sometimes, the hotel just doesn’t provide this kind of device, other times the model they’ll give you is not powerful enough, and sometimes it can be flat out broken. The model in question, with its variety of handy features, will help you avoid these problems. First off, being out of your home shouldn’t keep you from taking proper care of your locks. The Revlon hair dryer will help with this thanks to its triple ceramic coating. The device is designed in such a way that it keeps the heat distribution uniform and the flow of air precise. That way, your hair gets enough heat to get dry but not dry out, which is an important distinction for your scalp’s well-being. 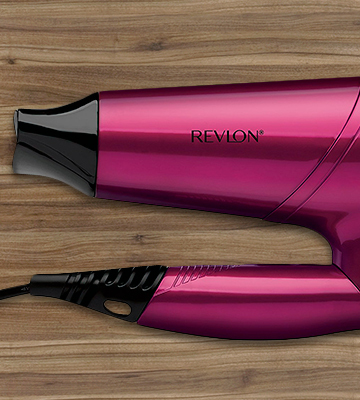 Second, the Revlon RVDR5229UK features 3 different heat settings and 2 speed options, so you can adjust the flow to help you dry your hair faster if you’re running late. The device also has a cool air mode but customer reports indicate that it is not very effective. It is questionable whether you’ll need it on your travels, but you should still keep that in mind. The Revlon RVDR5229UK is very compact and can easily fit into any bag or purse, but don’t let the size fool you, this device has a powerhouse of a motor. At 2200 W, this powerful dryer can dry even the largest mane in no time at all. Customers say that the highest speed and the highest heat can get the motor running quite loud when combined, but that shouldn’t be an issue if you follow our tip and do not use the highest heat mode unless it's absolutely unavoidable. Besides, there should be no need to use high settings as the device takes advantage of ionic technology to help your hair get dry faster by shrinking water drops in it. This way, your locks lose the excess moisture while getting smoother and shinier. Moreover, the negative ions should reduce frizz and static, so those with curly hair don’t have to worry about ending up with a giant ball of hair after using the blow dryer. 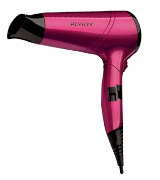 Of course, being our top pick, the Revlon RVDR5229UK dryer is not just powerful but also practical. The end cap is removable for easy cleaning and the folding handle is great for saving space in your suitcase. Plus, you get 3 years of warranty, so even after you’ve gone all over the world, you can rely on the Revlon device to keep your hair smooth and shiny. The only way this device could be better is if it were a wireless hair dryer. 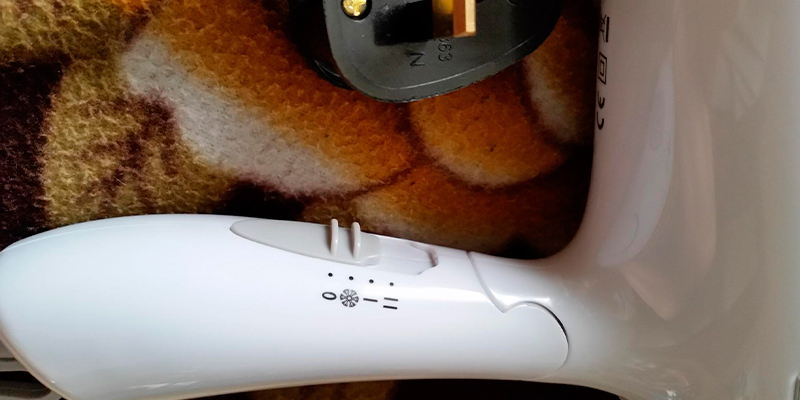 If you are an avid traveller and often stay at hotels, you know better than anyone that, in most cases, hair dryers there are either of poor quality or have very low power. To make your trips more comfortable, you pretty much have to pack your own dryer in the luggage. But that means choosing a model that's compact yet powerful and can still work in any country in the world. That's why we recommend buying this BaByliss 5344U travel dryer, a compact model that folds for transportation and storage and fits even a tote bag. Besides, the product already comes in a handy transportation case. 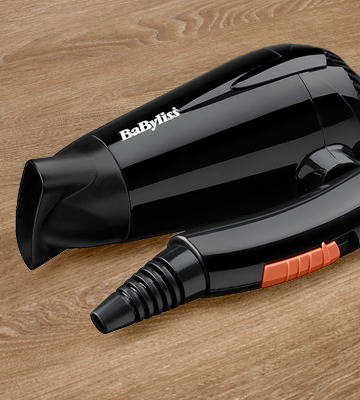 The BaByliss hair dryer has a dual voltage adapter which allows you to use it anywhere around the world (voltage range from 125 V to 240 V). However, what really sets this hair dryer apart from most other models is its excellent performance characteristics that you wouldn't expect out of the dryer's compact size. 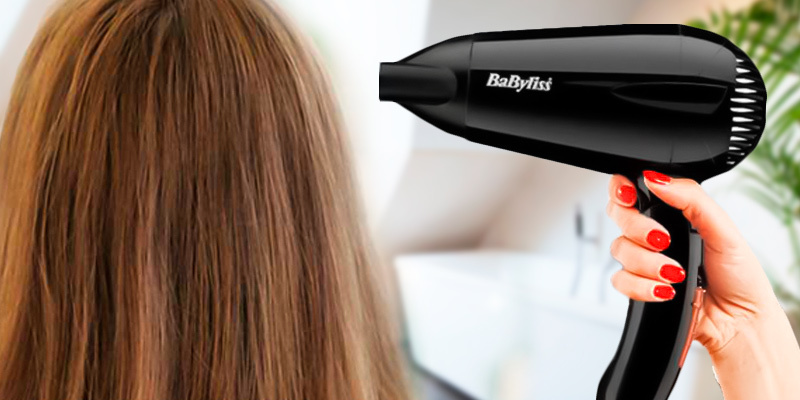 With it, it won't take you longer than a few minutes to dry even a whole head of hair. The dryer operates at two heat and speed settings and is suitable for all hair types. It is a real steal for its price, and it's surely a perfect option for both travel and home use. Apart from being super convenient to carry around, this appliance boasts great functionality. As we established before, it is compact and quite lightweight. 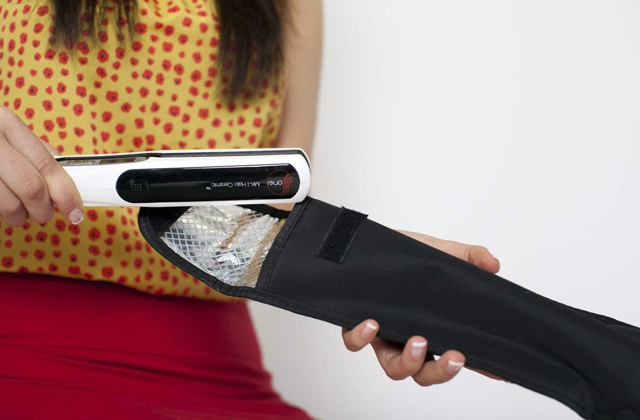 Plus, it has an ergonomic foldable handle with a switch. It is convenient to grab, hence your hand won’t get tired after prolonged use. This dryer is still powerful enough to meet all the expectations of pretty much any user. 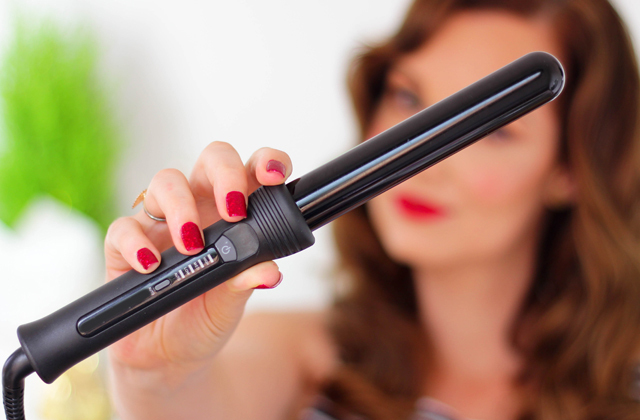 With it, you will be able to not only blow-dry your hair quickly and efficiently but also give yourself a great styling. It has two speed and power levels. So, you can choose the perfect airflow depending on the results you want. Also, if you have thin and weak hair, we would recommend using this appliance on the first setting to avoid damaging. What is more, despite its powerful performance, this dryer is also very quiet. Hence, it won’t bother your family or neighbours, which is especially great if you have to use it in some sort of a small hotel while travelling. In conclusion, we can say with certainty that the BaByliss travel dryer is the perfect fit for you if you need to take care of your hair both at home and on the go. 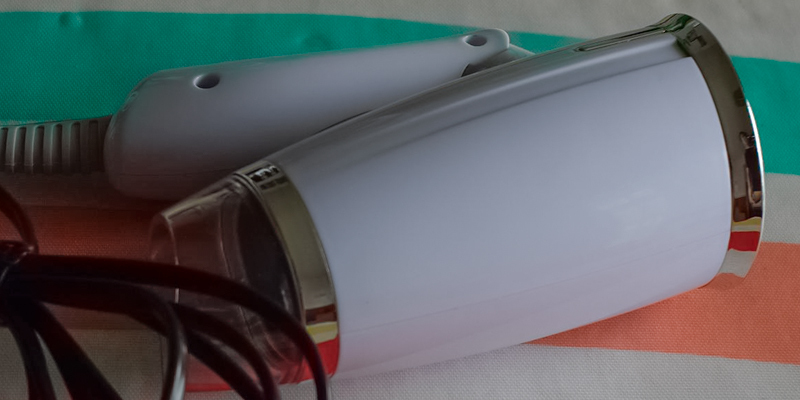 This device will make it smooth and silky in no time. With it, you won’t have to worry about your look. If you have extra delicate hair, you know how much of a pain some dryers can be, messing up your curls and damaging them. 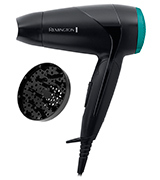 To save your hair from cheap hotel devices, try the Remington D1500, suitable for the lightest and most delicate locks. This is a high-class dryer that will not let you down no matter how gentle you like to be with your hair. 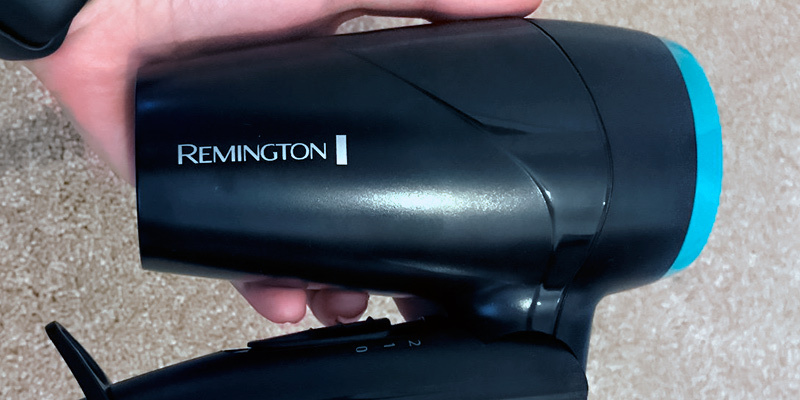 Unlike its low-quality counterparts, this Remington travel hair dryer ensures that you won’t have to compromise on good hair care when you’re on the road. Equipped with a diffuser nozzle, this model is capable of creating very light waves of air that will smooth and shape your hair and create curvy locks. The result will look almost as good as what you can do at home after a lengthy styling process. The aforementioned nozzle will also massage your scalp to relieve stress and improve blood circulation, which is great for your overall well-being and the strength and health of your hair. And, of course, it is coupled with a smoothing concentrator, which lets you guide the airflow as you see fit and dry your hair in sections, styling it carefully and precisely. This all makes for a great tool to help you keep your hairdo looking sharp and fashionable even on the longest business trip. 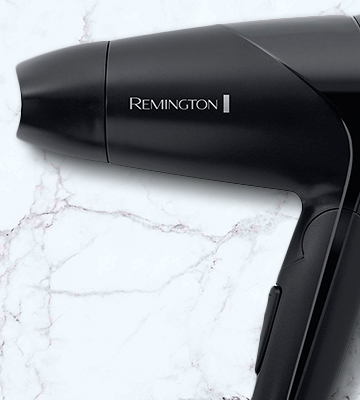 Like any good travel dryer, the Remington D1500 offers a compact frame so that it doesn’t take up much space in your luggage. This model also has a removable back grill with a lint filter to keep your dryer from getting clogged with dust as that can be very dangerous and could cause an actual fire. The device is adapted to 110-240 V power levels and can be used all over the world without requiring a voltage adapter. It does not, however, have a power surge protector or any safety measures to keep it from overheating, an unfortunate drawback that sets it apart from models of higher quality. The manufacturer fitted this dryer with a rather powerful 2000 W motor that works at 2 heat and speed settings, which let you style and dry your locks quickly and easily. It’s a shame that the device does not have a cool air mode, though that is definitely not a critical flaw. If you ever have any issues with the Remington D1500, the 2-year warranty should be able to cover them all. 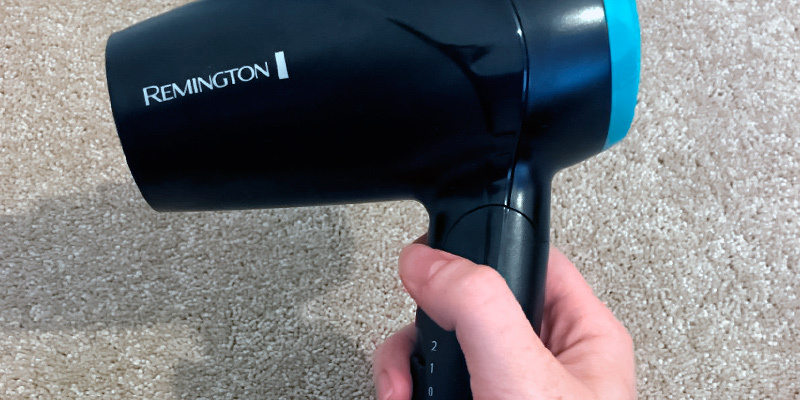 Overall, the Remington D1500 may not be as versatile as the other models but it is a perfectly serviceable dryer that you can use on any trips, both abroad and locally. Travelling around the world and staying in hotels, you have to account for a variety of parameters if you want a pleasant trip. Fortunately, the Beurer HC25UK dryer will help you take care of some of these issues, all while keeping your hair dry with no hassle. It’s a small and portable hair dryer that will fit into your luggage without any problems and keep your locks healthy and smooth. Different countries and even counties have different accommodation standards and that includes the voltage in the sockets. Thankfully, this device can work anywhere from 110 V to 240 V and can thus be used worldwide. You won’t have to get a specialised voltage adapter just to make sure that your dryer will be able to work. Plus, this model has a built-in safeguard that will prevent overheating and protect the dryer in case of a power surge. So, regardless of the socket type, your device will be safe and work well. Even if a storm takes out the electricity, your dryer won’t get fried like some other appliances do. Having said that, you'll probably need to buy a socket adapter as the Beurer HC25UK has a British one with 3 legs, which isn't the standard in most countries around the world. Which is why it is important to get an adapter right away if you plan on travelling outside of the UK. 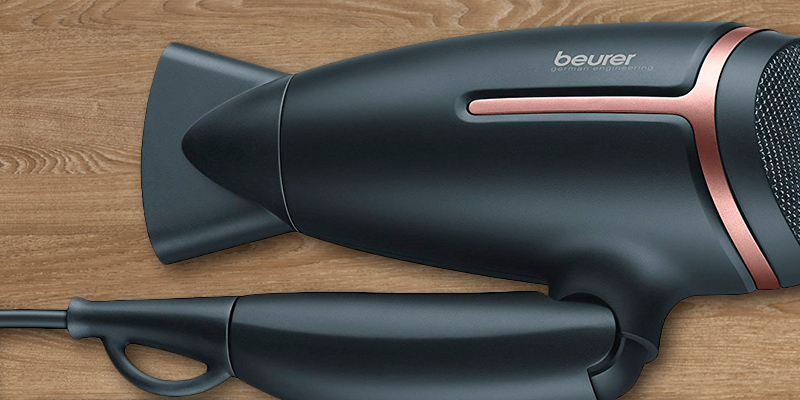 The Beurer HC25UK boasts a rather powerful 1600 W motor that is more than enough to get your locks dry in a matter of minutes without damaging them or destroying the moisture that is necessary to keep your hair smooth and shiny. But the motor isn’t the only thing in this device that gives your hair that healthy and luxurious shine. 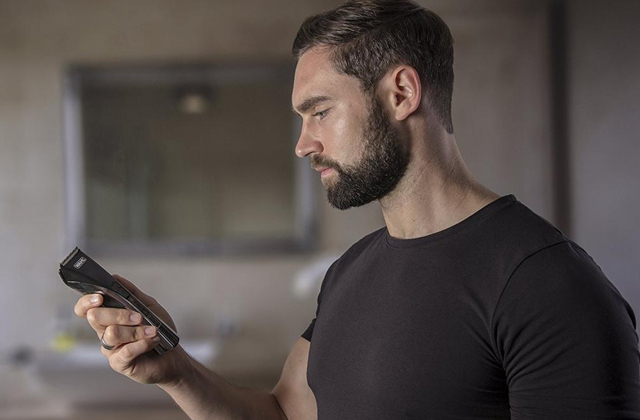 The device is fitted with ionic technology, which uses negative ions to remove excess water, shrinking the droplets and cutting out the need to towel off vigorously, which can damage some of the more delicate hair. And, of course, the ions give your locks a beautiful shine and smoothness that can’t be matched by a model that doesn’t utilise the ionic technology. For your convenience, the manufacturer offers 2 years of warranty so you can use the dryer with no worries and always count on it to keep your hair in a good shape, both figuratively and literally. Just like any good travel device, this model has an ergonomic folding handle and is overall quite small. You can just hang it in your hotel bathroom using a special loop and it won’t take up any space at all. Plus, the protective grill is not only removable but also has a lint filter to keep the inside of the device clean and safe from malfunction. Thanks to all of these features, the Beurer HC25UK is a great way to keep your locks dry on any business trip or vacation. Travelling is always stressful and every little inconvenience can just pile on, so it’s all the more important to find products that make this experience easier. 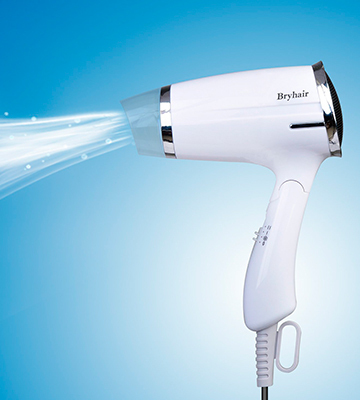 On that note, a blow dryer like the Bryhair FSB-1011 can save you some headache and make your stay at a hotel much more comfortable. To make your business trip or vacation pleasurable, you’ll only need this small appliance, which eliminates all stress related to your appearance. This model has a special moisture retention system, which has several beneficial qualities. First, it will dry out the body of the device very quickly if it gets wet. This means that you can use the dryer in the bathroom right after the shower and pack the completely dry device into your luggage mere minutes later. No need for a baggie to put it in, the Bryhair FSB-1011 won’t get your packed clothes wet as it will be fully dry before you even get dressed. However, it’s not just about getting dry faster since this characteristic also reduces the risk of breakage brought on by high humidity. Plus, this model is really tiny, even smaller than some of the most expensive travel dryers. Thanks in part to the folding handle, you can pack this dryer into a compact purse or a carry-on bag to make sure that it doesn’t get lost. 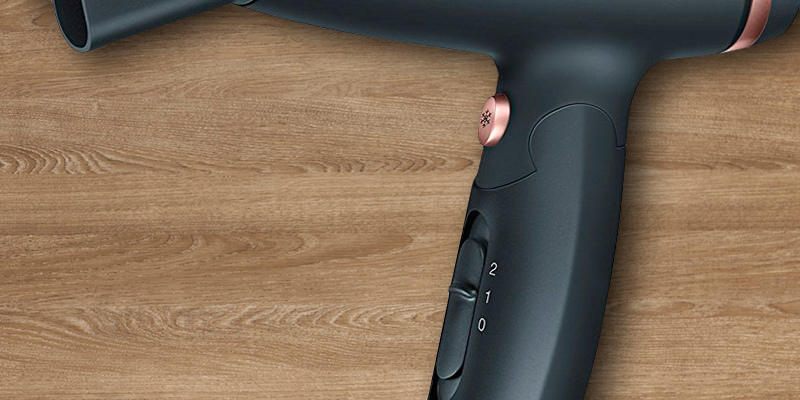 The aforementioned folding handle is also coated with an anti-slip material to keep the dryer steady in your own hands. The material is very soft, so your hand won’t get tired if you have to hold the Bryhair FSB-1011 for a long time while creating an intricate hairdo. Do note, however, that, over time, the handle can get wobbly if you fold it too often as it can wear away at the mechanism inside. 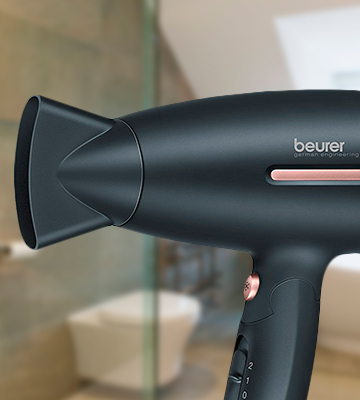 Despite being one of the smallest travel dryers available, this model has a 1200 W motor, which is powerful enough to get your locks styled and looking shiny in no time flat. The device features 2 heat and speed settings so you can customise the temperature and airflow as you see fit. A cool air mode is included as well, which is a nice bonus for those who aren’t in a hurry and want to get their hair dry with a pleasant breezy stream of air. That kind of temperature will also do no damage to your locks, which is quite important if you want to keep them healthy. The Bryhair FSB-1011 comes with a 2-year warranty, enough for many long trips where you’ll put this handy device to good use. Just remember to use the removable grill and the lint filter to clean your model regularly and this dryer will stay with you for a long, long time. 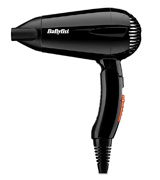 What Is a Travel Hair Dryer? You never know what kind of hair dryer you’ll encounter in a hotel during your trip. Hotel blowers often have low power and include no attachments, making the process of hair drying slow and time-taking. 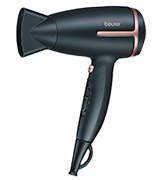 Of course, you could've traveled with your home Hair Dryer, but as is the case, many of these models are quite bulky and will inevitably add weight to an already heavy suitcase. What is the solution? A small travel Hair Dryer. Designed with the needs of travellers in mind, these portable units are tiny in size and very light weight so you can easily pack one even in your carry-on bag. To take less space travel models often have a folding handle too. With all of that, they do not tail behind conventional models in terms of power output and can support the same range from 110-250 V overseas. So if you're someone who loves comfort and wants to look your best wherever you are, buying a travel-size Hair Dryer may be the best option. 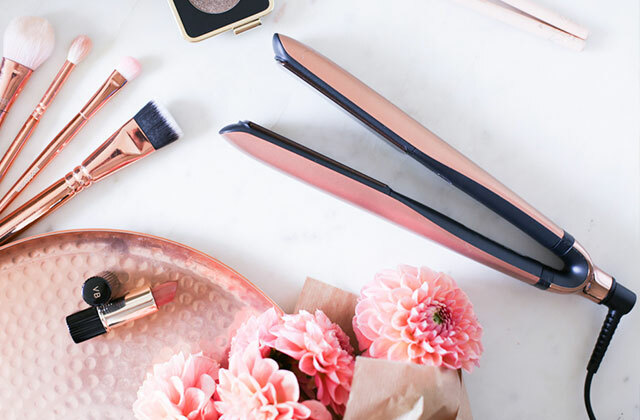 You can find a whole lot of hair tools for travel purposes. 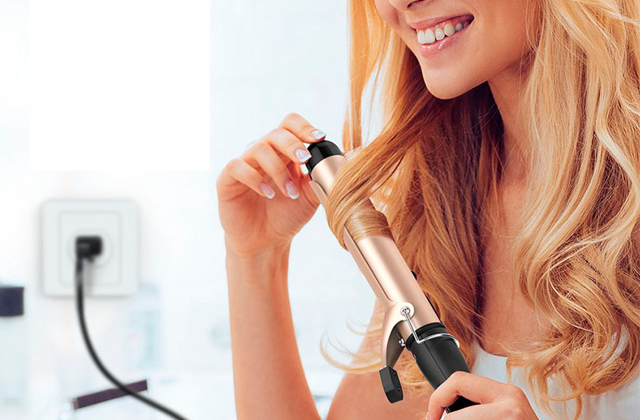 So, if you think you may need more of them, make sure to take a look at our selection of travel flat irons that will let you tame your hair on the go, and curling irons which will allow you to make amazing curls. In order to find the best travel Hair Dryer, you just need to know the important points that you should be on the lookout for. Let’s go over them and see what matters most when it comes to choosing such a device. First off, you need to know what kind of power the dryer has and see if it’s enough for you. 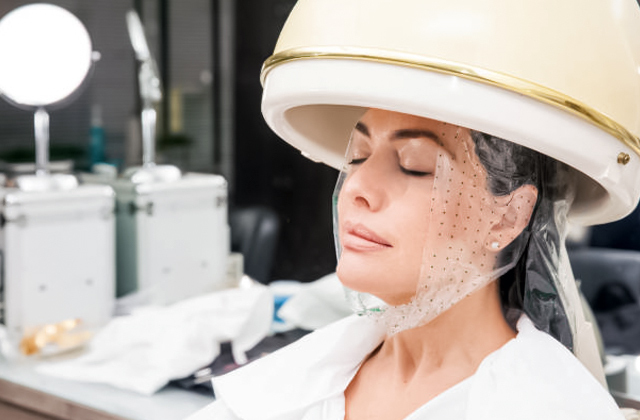 As you’re looking for a travel model, it might not have a motor as strong as the one on a professional salon dryer but try to at least find one that matches the device you use at home. It would be great to find anything above 1000 W and if you see a product with the power of around 2000 W, consider yourself lucky and make sure that the model is on top of your list. Secondly, just because you’re not home or at a hairdresser’s salon, you don’t have to settle for a barebones device that will fry your roots slowly. Make sure that the product you choose has at least a couple of heat settings and several speeds because it allows you to adapt to any situation. In a rush? Just put the dryer on the highest speed and medium heat (remember, never go for the highest setting!) and get your hair dry as fast as possible. 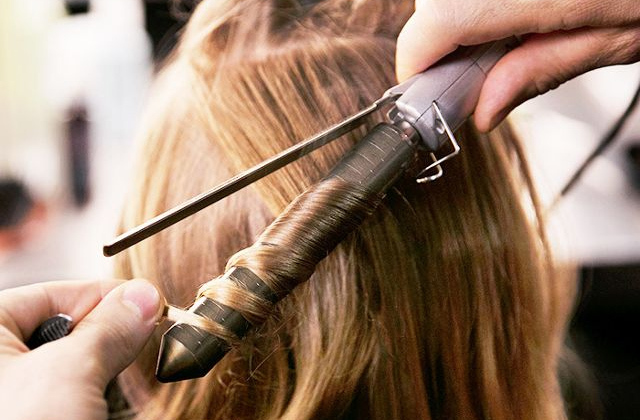 Want to do some hair styling without damaging it? Lower speed, lower heat and just go for it without worrying about any damage to your hair. 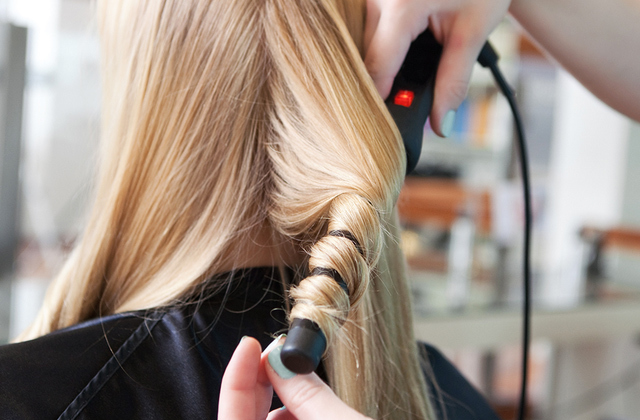 Thirdly, once again, not all travel dryers are mini-fryers for your hair, you can still use one to create an intricate hairstyle as long as you have the necessary nozzle. Check to see if your model has a diffuser or a concentrator, as they can really come in handy and it only makes sense to have the best travel Hair Dryer with diffuser. They’re great for those with huge manes or curly and delicate locks, letting you style your hair carefully and cleanly. Besides, they help to control the airflow and keep the heat distributed evenly in a limited area. And, lastly, just make sure that the dryer is easy and comfortable to use, look for some extra features. These can range from some other nozzles besides the concentrator/diffuser to something as simple as the ability to take off the grill for cleaning. This can be very useful as some lint or dust can easily get trapped in the dryer while it’s in your luggage, which may lead to malfunction. And a dryer that can be plugged into sockets of different formats eases travelling significantly. With that feature, you don’t have to worry about finding the right socket or an adapter. So when you read our travel Hair Dryer reviews, make sure to check up on these features, see what’s most important to you, and find the right device for travelling. A single strand of your hair is enough for a skilled scientist to analyse you thoroughly and comprehensively. Using the modern technology, one can find out what entered a person’s bloodstream, including medicine, drugs, nutritious vitamins and minerals, and alcohol, with just a tiny part of your locks. The average number of strands on a human head ranges from 100 thousand to 150 thousand, a rather impressive number. Despite being able to tell you so much about what’s in your blood, hair cannot, in fact, help identify someone’s gender. According to some recent research, Asian people have faster hair growth rates than any other race. Moreover, the elasticity of their locks is heightened as well. A Caucasian person’s strand will grow 1 cm per month, an Asian person’s is usually at 1.3 cm. The people of African descent get a bit snubbed with just 0.9 cm per month but their hair density is the highest though. One single strand can hold up to 100 grams of weight. Multiply that by your average strand count and it turns out you can support quite a substantial load with just your curls! Hair grows faster in warm climates and weather, so if you resided in a desert for 5 years and then stayed in a tundra for the same period, your hairs would grow out more in the sandy dunes. 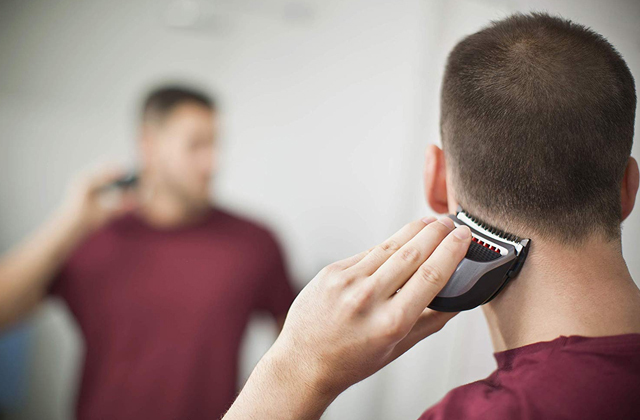 Despite the commonly repeated urban legend, trimming hairs will not cause them to grow faster. Black is the most common colour for a person’s mane while red is the rarest one. There have been some studies about whether or not hair colour and personality are matched somehow, but they aren’t exactly conclusive. If you’d like to know, though, they did state that blondes are fun and flirty, brown locks signal that a person is smart and no-nonsense, and redheads are strong-willed. Does that match your personality? Hairs are the second fastest growing tissue in the human body. Pluck out a strand and another one immediately will start growing in its place. Every day you lose 50 to 100 strands on average, that is, if you still have that many. This would seem like a big number but remember that you likely have several hundred thousand strands resting on your head. 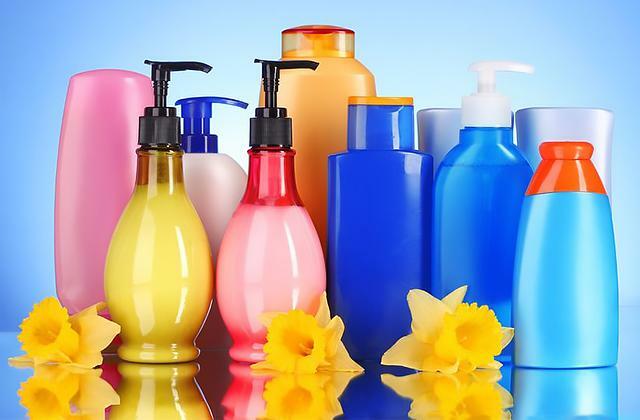 Nearly all Japanese and North American people (around 85%) wash their hair twice per day. Just a quarter or so of Europeans do it daily. We’ve already covered that you can’t identify gender based on hairs and it’s all because the growth cycle and structure on male and female manes are the same. Of the billions of people alive right now, just 4% are redheads. Black hair is less elastic than light coloured one, but a strand can stretch up to 30% on average with no damage. Blondes have higher strand density than any other colour, with redheads getting the short end of the stick again. A single strand usually “lives” for around 5 years. Not too much, but at least it is constantly growing. Among the 14 elements you can find in a strand, there is one that is the most likely to excite you. Of course, you might not see it with just your eyes, but every single hair on your head contains a little bit of gold! Q: I’ve heard that blow drying can damage my hair, what can I do to prevent this? Using a heat protecting spray. Use a lower setting on your device, never go for the high heat mode. Before applying the stream of air to your head, check it on your hand. If the air is so hot that it burns - it’s too hot for your hair. Set it to a lower mode. Keep the dryer far enough from your hair, do not hold it too close. Walk around for a bit and let your hair air-dry a little or use a towel on it. Do not start drying your hair immediately after a shower as the air will actually just boil the water around your locks which will damage them for sure. Q: My locks are curly, how can I dry them more conveniently? A: It is often recommended to use an ionic dryer because it eliminates frizz and helps to keep your locks in check. Also, a diffuser attachment can come in handy to eliminate unnecessary volume and fuzziness. Q: I got a new dryer without any extra attachments, can I just put on some from my old model? A: It might be possible if they fit, but it is definitely not recommended. Different manufacturers make wildly varied accessories and it is entirely possible that the nozzle you want to put on your new model could not fit or even damage your device. It’s best to just get a model with all the attachments you need. Q: I’ve seen a lot of dryers with some sort of concentrator nozzle. What does it do and how do I use it? Is it safe to use? A: First off, yes, the attachment is safe to use if you follow the standard rules, namely don’t bring it too close to your hair. What it does is put the air flow from your dryer into a more concentrated stream that lets you dry your licks in sections as you see fit. It helps to do some intricate hairdos and style your hair just right. 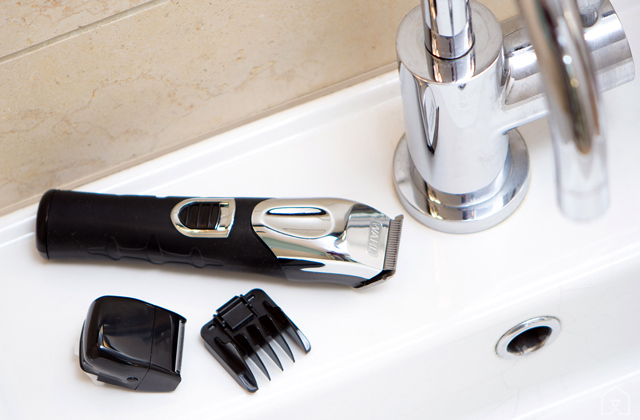 When using it, remember to start at the roots of your hair and go down, slowly and carefully. That way you will get a finely calculated hairdo that won’t require a whole bag of professional tools. This type of accessory works best for long, thick, and straight hair that needs a lot of care and a tender approach. It is, however, also suitable for curlier locks though that type of hair has better options designed for it. Q: What’s the principal difference between a small travel hair dryer with double voltage and a professional model that I could use at home? A: Well, travel devices are made with the luggage limitations in mind, so they are small, lightweight, and usually have accessories that allow you to use them all over the world regardless of the socket type. Q: How do I keep my dryer working well? A: Remember to clean it from time to time, that’s the most important thing. If you ever note an unpleasant or unusual smell coming from the device, take off the back and clean off any dust you see using a small brush and be careful not to damage anything. The body of the dryer can be wiped down with a cloth, even a slightly damp one, but make sure to let it sit for a while afterwards. 1. 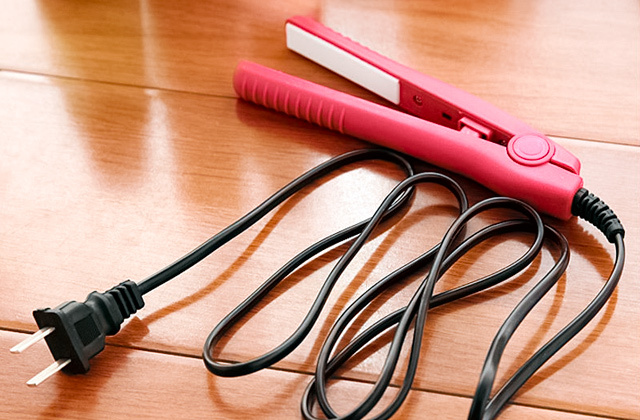 Hair Dryers, Electrical Safety First. 2. Hair Dryer Safety, HowStuffWorks. 3. Are There Disadvantages to Ionic Hair Dryers? LIVESTRONG. 4. Hand luggage restrictions at UK airports, GOV.UK. 5. Hotel hair dryers found to have large number of germs by microbiologist, The Independent. 6. Golden rules of good hair care: how to have beautiful, healthy hair, Stylist. 7. Hair Health Tips & Tricks You Need To Know, Glamour UK. 8. Dr Tim Moore: Drying hair naturally worse than a hairdryer, Daily Mail Online.